Powerpuff girls want to stop Mojo Jojo and they will do anything possible for it. Fly around, dodge the obstacles and collect hearts. 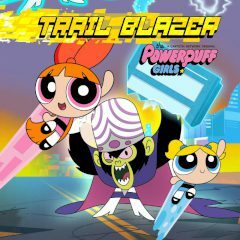 There is nothing impossible for Powerpuff girls and this time they are going to face mighty Mojo Jojo. This ape forgives no mistake, but to fight him you need to deal with lots of challenging things. Dodge traps, obstacles and many other things on your way, replenish health and finish the game!